People want electric cars. They just don’t want to pay more for them. Electric cars and plug-in hybrids are amongst the fastest-selling late model used cars in the U.S., according to a new study from iSeeCars. Of the top 10 fastest-selling used cars, six don’t rely on gasoline. The models earning the distinction of cracking the top 10 are Fiat’s 500e (#1), BMW’s i3 (#2), Toyota’s Prius Plug-in Hybrid (#4), Nissan’s Leaf (#6), Ford’s Fusion Energi (#9), and Tesla’s Model S (#10). The average price of a one- to three-year-old car is $21,000, and Phong Ly, CEO of iSeeCars, speculates that consumers are more willing to take a chance on used electric models thanks to their comparatively lower price. Some of these EVs and hybrids even have price points that are less than half the average, like the 500e’s average of $9,055. 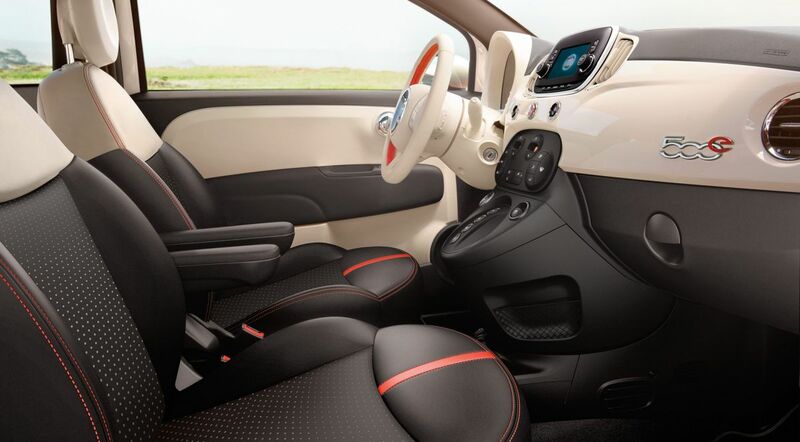 Interior of the 2017 Fiat 500e. Image Credit: Fiat. A used Tesla Model S, on the other hand, will cost anywhere from $40,000 to $80,000, but sales are still doing well thanks to other factors. “Tesla’s popularity, along with the scarcity of the Model S on the used car market, is probably driving prices up while cars continue to sell quickly,” said Ly. Tesla’s recent decision to discontinue the cheapest Model S option probably isn’t helping either. Electrek notes that this study is a clear indication that people are willing to buy electric cars, despite what automakers may have said in the past about the lack of demand. In reality, people are interested in these vehicles — they just need to be priced comparable to their gas-guzzling counterparts. Discounts, tax credits, and other purchasing incentives go a long way, too. Whether used or new, the more EVs we get on the road, the better our chances of stemming the problems caused by the use of fossil fuels.